In observance of Memorial Day, our office will be closed Monday, May 26th. We will resume normal business hours Tuesday, May 27th. Our country asks great things of our service men and women. Sometimes we ask for the ultimate sacrifice. On this Memorial Day we honor those that answered that call. On behalf of all of us at Precision Senior Marketing, we appreciate your business and wish you a safe Memorial Day weekend. 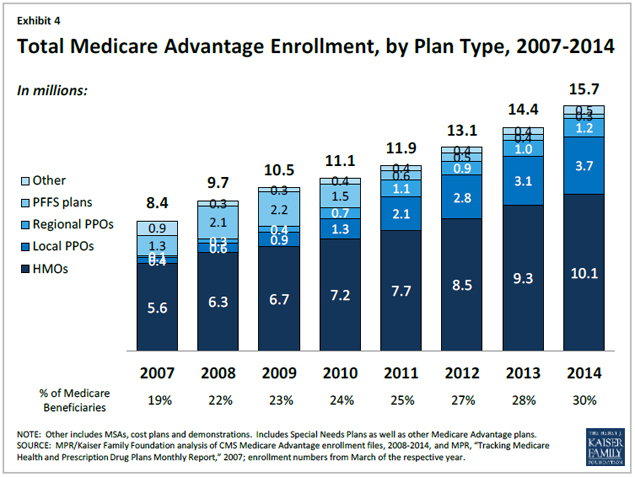 Despite concerns that payment changes enacted in the Affordable Care Act of 2010 would lead to reductions in Medicare Advantage enrollment, the number and share of Medicare beneficiaries enrolling in Medicare Advantage plans has continued to climb. Since the enactment of the ACA, Medicare Advantage enrollment has increased by 4.6 million, or by 41 percent. As of March of 2014, 30 percent of people on Medicare (15.7 million beneficiaries) were enrolled in a Medicare Advantage plan, a 10-percent increase since March 2013. Most of the enrollment growth since 2013 has been in the individual market, but group enrollment in Medicare Advantage plans accounted for almost one-third (32%) of the enrollment growth in 2014 and has been a major factor in the experience of some firms. 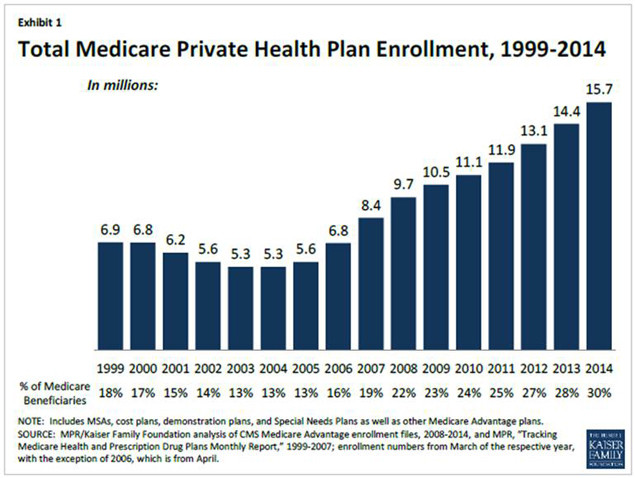 Medicare Advantage enrollment continues to grow … ultimately the form of both the overall Medicare program and Medicare Advantage will be shaped by the policy and fiscal climate. Three in four Boomers say tax deferral is an important feature of a retirement investment. An overwhelming majority of Medigap members - 94 percent - are satisfied with their coverage, according to a recent survey from America's Health Insurance Plans (AHIP). Indeed, 91 percent would recommend similar coverage for a friend or relative, and 80 percent of the 500 Medigap beneficiaries surveyed said their policies are an “excellent” or “good” value for the money, a figure that’s constant in recent years (79 percent in 2012; 77 percent in 2009). Survey respondents cited several different benefits, including limits on out-of-pocket costs, simplicity of medical bills and related paperwork and the ability to budget for unexpected medical costs when asked what they like most about Medigap. And 30 percent said they value being able to see the physicians of their choice, while 29 percent said they value Medigap’s hospital and physician coverage.